ANNIVERSARY: Don Richard Wijewardene was not the first Sri Lankan to establish a company to edit, print, and publish newspapers. Before him many individuals started newspapers, weeklies, fortnightlies and monthly journals. Regrettably most of them, if not all fell on the way side. Their failure could one say it was due to a lack of vision. D.R. Wijewardene at the time of his youth enjoyed the privilege of acquiring higher education in Britain. A product of the Cambridge University as an under graduate, Wijewardene had the rare opportunity of meeting with the future leaders of India like Lala Lajpat Rai, Bepin Chandra Pal, Surendranath Banerji, and a leading light of India Gopal Krishna Gokhale a member of the imperial legislative council. Wijewardene said: My interest in politics began during my undergraduate days at the University of Cambridge. There were kindred spirits from India, Ceylon, and other parts of the east. When going back to the past the first ever newspaper in this country was the Government Gazette which saw light of day in 1802, to be followed by the Governor Wilmot Horrons Colombo journal in 1832. Two European entrepreneurs P. Acland and E.J. Darley published the Observer and the Commercial Advertiser in 1834. All these publications were in fact short lived destined to die a premature death, with the exception of the Ceylon Observer which was started in 1833 the year in which the Colebrooke Cameron constitutional reforms were implemented. The first Sinhala newspaper titled Lanka Lokaya was started in 1860 at a time when modern printing machinery held sway. The subsequent newspapers such as Lak Rivi Kirana, Lakmina, Lakmini Pahana, Sathya Margaya, Riviresa, Sarasavi Sandaresa, Kasaya, Jinodaya, Ilapatha, Ira Udawa etc. ... flickered and went out. Before D.R. Wijewardene returned home as a Cambridge graduate and being called to the Bar at the Inner Temple London some like minded Sri Lankans had begun their crusade against the British Raj and were fearlessly taking their agit prop-agitation and propaganda campaign. The British Parliament where all types of obnoxious pieces of one sided legislations were passed depriving innocent unarmed but decent and civilised Asians and Africans of their basic freedoms and human rights. Thanks to Wiejwardene's organisational campaign and skillfull lobbying among other benefits Sri Lanka was given another concession of a Seat in the Sudda dominated local legislature council. It was called the educated Ceylonese seat. When D.R. Wijewardene returned to the island in 1912 having studied Law at the Cambridge University he met a young lawyer practising at Hulftsdorp, the citadel of the legal fraternity, the English Lawyer F.A.M. Cobert, who gave the idea of starting a newspaper. However Corbert's efforts at securing the Independent newspaper to Wijewardene did not succeed but his initiative had a lasting effect on the latter's venture in to the newspaper business. Wijewardene took the epoch making step towards building his newspaper kingdom by acquiring Dinamina pioneered by H.S. Perera in 1914. In quick succession he next took over the Ceylonese newspaper in 1918 and re-baptised it as Ceylon Daily News. The Editorial at the Daily News celebrated their 89th birthday on January 3. A milestone in D.R's odyssey towards press baronetcy was the outright purchase of the then 90 year old Observer in 1923. The inauguration of Silumina gave the necessary muscle for Lake House to stand on its own feet. D. R. Wijewardene started altogether seven newspapers namely Dinamina, Silumina, Ceylon Daily News, Observer, Sunday Observer, Thinakaran, and Sunday Thinakaran. He had a generation of journalists specially trained for the job, supported by an equally fortified organisation. He had also installed modern printing machinery, which could churn out 20,000 copies of newspapers in vivid colours within an hour. It is stupid to claim that money could do everything but it is more appropriate to say all these could destroy monetary resources. D. R. Wijewardene prided himself having built the Lake House edifice on a solid foundation. Greater significance could be attached to Wijewardene's historic performance due to (a) establishment of a successful newspaper company in Sri Lanka and (b) The pioneering role he played in the political articulation in Sri Lanka. It was his intellect and commitment that resulted in the build up of a prosperous newspaper industry in the country. Whilst promoting the nationalistic sentiments Wijewardene took care not to be harnessed by the communal forces instead. His talents in human resources management were in fact unrivalled. The Associated Newspapers of Ceylon Ltd was established in 1926. Wijewardene then had three newspapers in circulation as against his business rival 'The Times of Ceylon' which published only English papers. The launching of Silumina (1930), Thinakaran (1932) and Varamanjari (1948) was a landmark achievement for Lake House in the sphere of newspaper industry in Sri Lanka. The publication of a supplement of Dinamina or the first time on March 2, 1915 to commemorate the 100th year of Sri Lanka becoming a colony under the British crown was a novel feature introduced by the Wijewardene Group. To satisfy the readership some of whom thronged the Lake House, the supplement had to be reprinted. At the time when colour printing was a costly rarity, the launch of Dinamina in colour was a unique achievement. 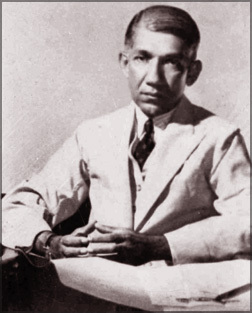 When D. R. Wijewardene started the Ceylon Daily News he not only established a newspaper business but also laid the foundation for a newspaper empire where within a short time newspapers rolled down daily in three languages, English, Sinhala and Tamil. While in England he had already decided to start a newspaper to fight for the cause of regaining freedom. By the time he arrived he was fully equipped mentally with the techniques of the trade, how to survive in a competitive world. As fantastic as the fete he performed in building a newspaper empire from nothing was the three-storeyed building he constructed on the bank of the Beira Lake, a pool of mud along the Colombo-Galle railway line. Anyone entering the Lake House building would be thoroughly amazed to witness the skilful planning and the deft designing of the entire construction and the interior lay out. The building is constructed in such a way that any type of modern machinery and equipment can be easily installed without major restructuring of the building. Under any emergency the entire workforce can leave their desks and other places of work through the numerous exists found in the outfit. Walking along the corridors one would be overjoyed to appreciate the different kinds of traditional Sinhala motifs adorning the walls. The grills on the walls in all the floors are adorned with the design of the Dhammacakka the wheel of righteousness. Bordering the ceiling are paintings drawn on similar pattern to the Kelaniya Vihara paintings illustrating Buddhist themes. Wijewardene took upon the responsibility himself for providing for the future in case any newspaper was to run at a loss. The outstanding feature which illuminated Wijewardene's life was his grit to surpass his rivals in the industry. That was the prime cause for the success. Certain traditions which he liberally left for posterity are still observed at Lake House. Born on 23rd of February, 1886, D. R. Wijewardene had his preliminary education at St. Thomas College, Mutwal, Colombo. His family background and the fact that he was the son of a successful businessman helped him a lot in consolidating his position in the colonial society. His father Don Philip Wijewardene was the proprietor of the well-known Sedawatte saw mills. Wijewardene's marriage contract with the daughter of another leading businessman of the day - Dep Weerasinghe - was a fillip to ameliorate his business interests. The British who introduced a series of multifarious serious vices to wean the people, particularly the majority Sinhala Buddhists from their traditional way of disciplined lifestyles went on opening taverns in every nook and corner for the sale of toddy under the guise of checking illicit liquor. The purpose of Wijewardene's campaign was to protest against the multiplication of toddy taverns. His action in England paved the way for the birth of the Temperance Movement, the Amadyapa Sabha to fight against the British evils. Though D.R. Wijewardene maintained a low-key profile throughout his life his name became a household word with the ever-growing readership of Lake House papers. Since he shunned publicity to his national, cultural, and religious activities some people not excluding the scribes of the day took advantage to conceal wittingly his disciplined domestic background and the learning and knowledge he acquired from his great mother and the Sinhala teachers who taught him at home and the spiritual enlightenment which was his blessing from the Kelaniya Rajamaha Viharaya patronised by the Wijewardenes with his brother Don Walter taking a leading role in the affairs of the Vihara and the Bhikku Sangha. Many great men represented the cause of the people, the country and the nation and D.R. Wijewardene was among them. They unleashed the liberation struggle in their characteristic style with D.R. Wijewardene to inform and educate not a single community but the whole mass of people so that they could march forward to regain National freedom for once and for all times from the tyranny of oppression and suppression heaped upon the sons and daughters of mother Lanka by the British and the decadent remnants of the short lived Portuguese and Dutch Imperialist rule of Lanka. Traditions and standards which Wijewardene himself established have become the role model for other newspapers as well. His interest in new technology and its effect played a major role on the development of the newspaper industry in Sri Lanka. That is why the spirit of D.R. Wijewardene looms large in the newspaper world even after many decades of his demise.